Like how I set myself up for success last week with Honda Mondays? hahaha it just so happens that I don’t have much content again and it’s Monday. Once again – going through some old pics and seeing if I can make them a little better. I seem to go through a lot of “editing phases” – it changes from wanting vibrance and lots of color to either very monotone or desaturated to give a more mellow look. 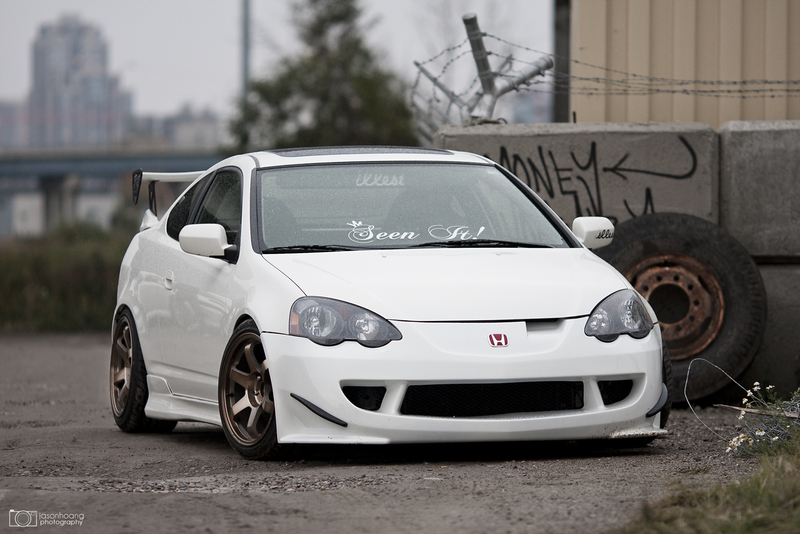 When I first shot Darren’s RSX, I edited the pics to be vibrant with lots of greens, yellows and blues. This time around, I thought I’d cut out all of that and try and focus more on the tones of the car and it’s surroundings – one of the main reasons why I love shooting in RAW. His car is still kicking around with the wheels in a different color, new seats and a new steering wheel the last I remember. Either way, still a great looking car.